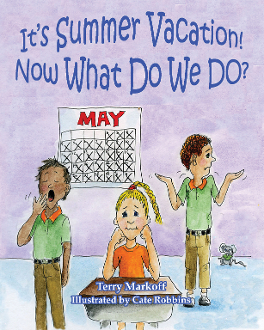 Our Products >> It's Summer Vacation! Now What Do We Do? what they might do during their summer vacation. Please don’t try any of these ideas at home, school, or anywhere else on this planet. “Chase butterflies, porcupines, skunks, and coyotes. Mrs. Bigglywiggly sort of snorted and tossed her heads in the air. along as we explore the wacky ideas of these weird teachers!